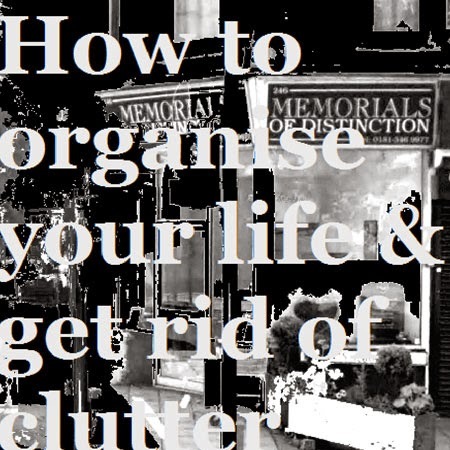 This is a brilliant eclectic mix, offset by interludes from some self help seminar on the subject of relieving you of the burden of clutter. Personally, I love to wallow in stuff (clutter that is) finding neatness a teensy bit too sterile, but here the advice (given with a glinting smile no doubt) is the perfect foil for the fragility and jaded beauty on offer. A place where the shiny world of productivity meets the more human in break-beat, post everything flavours, shaking the tree in off-kiltered teenbeat tatters. Starts with 'Hidden', an intoxication of Mazzy Starr-esque vapours, Sofia DeVille's sultry vocals and candy curls of tabla making out with the creeping condensation of hypno strings and swirling breathe. Ab Jackson and his cheesy seminars kicking in straight after, his reverbed charms separating each track, sometimes blurring simultaneously in some weirded schisms of wasp vocals twisting your noggin in imagined tomorrows mixed with peculiar bends of flamenco. Smiling Disease stabs you in the chest early on with that amazing vastness - all splashed hand claps and symphonic choirs mincing over a dervishly additive baseline....closely followed by Mewlips piano melancholics... words stagger-stepping over broken beatitudes chewing over disaffections in asymmetrical poetics. The glorious technicolour head crashes of Lizzard Bleach are wholesome too... as they ply their 'cat swung' approximation of rock n roll / surf whatevers in glinting telecaster and thundering percussions, the ampage hissing like a deep fat fryer... and that's just half of side one! Wonderfully written review. Let me know if you would ever want to contribute to my punk-centric zine No Apologies.